9. Wassail. I love this hot spice-laden beverage that warms your whole body throughout. I have never made the mulled punch myself, although I think I should give Christine Ashworth’s mulled wine a try too. 8. Christmas Lights Reflected in Water. I enjoy Christmas lights around town and in my neighborhood. 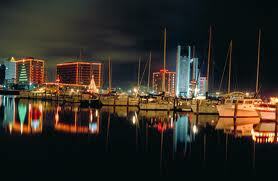 But growing up in Corpus Christi, Texas, I loved when people strung lights on their boats at the T-heads (harbor). 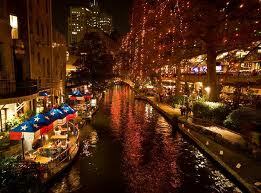 I also delighted in seeing the lights on the San Antonio Riverwalk – which are always lit in a celebration the day after Thanksgiving. There is something not only about the bright lights, but the way they reflect upon the water that moves me. Now I may to take a trip to Kemah or Galveston to check out the lights there. 7. Hallelujah Chorus. I was in my high school choir, and we had a tradition of singing The Hallelujah Chorus from Handel’s Messiah at the end of every Christmas concert. Alumni were invited to come up and join in, if you could still reach all of those notes somehow. I find the lyrics and music uplifting. If the song ever comes on, I sing with it at the top of my lungs. Watch out, people! 6. Holiday Parties. I know that some of them are obligatory. But they can also be quite fun! I’ve attended some great get-togethers over the years – from office parties to Christmas progressive dinners to my personal favorite, a New Year’s Eve fondue party. There is a festive spirit at such gatherings, with Christmas carols in the background, decorations all around, yummy food, and a chance to connect socially. 5. My kids’ excitement. Yes, this ranks somewhere in the middle. On one hand, it’s so much more fun to have Santa Claus and Christmas with a wide-eyed 6 – or even 14 – year old in your house! However, children are by nature impatient little creatures. They count down the Advent calendar like it’s a NASA liftoff. And to them, I suppose it does feel a bit explosive when the day finally arrives. Still, seeing the holiday season through children’s eyes gives it a sense of wonder that I hadn’t felt since . . . well, since I was a child. Not my kid, but ain't she cute? 4. Christmas Carols. Beyond Hallelujah Chorus, there is a slew of great music out there for the holidays. Personally, I like the more traditional stuff best: Bing Crosby crooning White Christmas, Johnny Mercer and Margaret Whiting singing Baby, It’s Cold Outside, and literally anything by Dean Martin. But there is also room in my playlist for such great songs like The Carpenters’ Merry Christmas, Darling, Harry Connick Jr.’s What Are You Doing New Year’s Eve, Bruce Springsteen’s Santa Claus Is Coming to Town, Cynthia Basinet’s Santa Baby, and the recent She & Him version of The Christmas Waltz. My favorite Christmas carol, however, is O Holy Night, and I love the rendition by Martina McBride. Here’s an acapella version from McBride on Opry Live. Wow. 1. Friends and Family. I am blessed to have wonderful people in my life, and that number has grown in this year of blogging, tweeting, and meeting fellow authors. I have also reconnected with high school and college friends in the last few years. My circle is growing, and it includes some amazing people. There are some who dread this time of year because it reminds them of their loneliness. I hope that we can reach out to our loved ones and to others and treasure them more than the gifts we receive this season. Your turn: What are a few of your favorite things over the holidays? It’s been one of my pleasures this year to get to know you! I would definitely drink some Tang Spiced Tea with you, Catie. Merry Christmas! Nutcrackers creep me out. I don’t have a solid reason for this, they just do. Love Christmas lights. We always have a couple of outings throughout town to look at lights. Christmas music can get irritating, but I do love O Holy Night (Josh Groban’s version is amazing) and Lennon’s War is Over. Opposite ends of the spectrum. 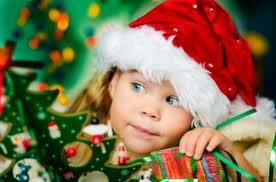 For me, Christmas is all about my daughter’s excitement and getting ready for Santa. Josh Groban’s O Holy Night is great, and I also enjoy Lennon’s War is Over. Enjoy the holidays with your excited daughter, Stacy! Fun. 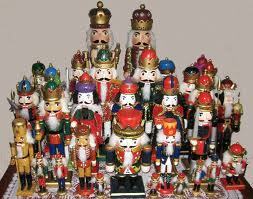 Julie, send me your address – I’ve got a couple little nutcrackers I can box up and send you, lol! I danced the ballet way too many times and had a blast doing it. Great post – and thanks for the mention! 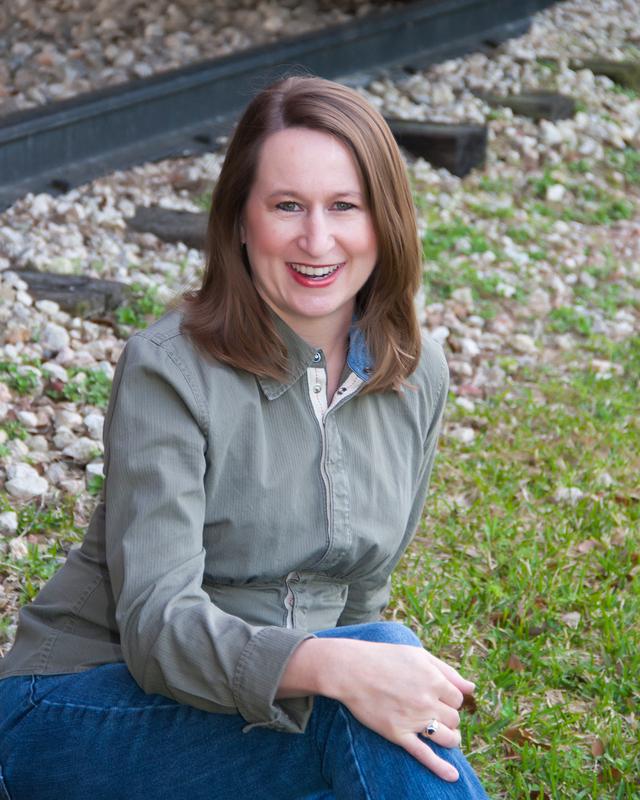 I agree with Catie – my circle of friends has expanded since blogging and ‘twittering’. It’s to the point where I feel sad for those of my friends who don’t twitter or facebook – they’re not in the know, somehow. I know I am late to this, and I am sorry! But I’ve been saving it and boy am I glad! 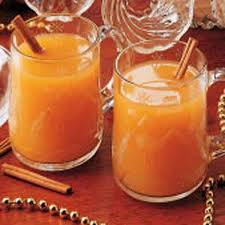 I love Wassail! Why do we only have it around the holidays? Kinda like eggnog…. Well, thank you so much, Julie for the mention in such a great line up for the Holidays! My pleasure. Your rendition is the best!